Upcoming performance: International Virginia Woolf Conference, June 30, 2017, 7:30pm. // Palmer G10, University of Reading, Reading, England. 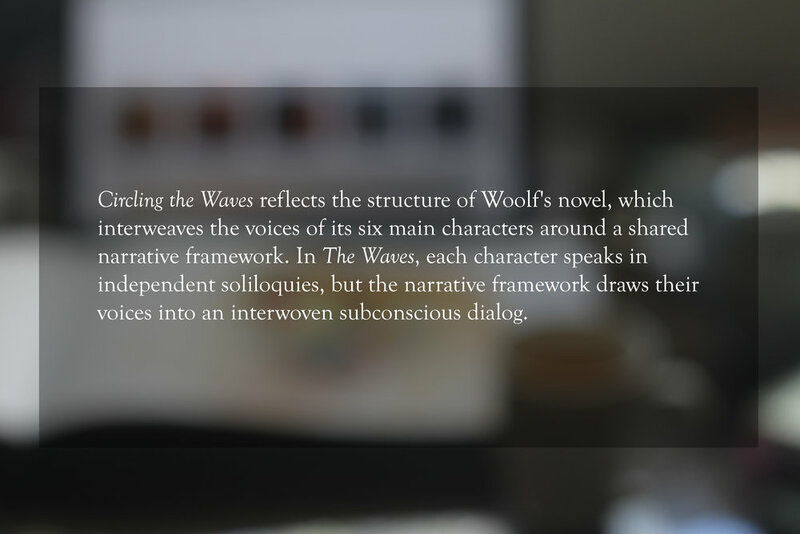 Circling the Waves can be experienced live, through the online multimedia gallery, and with the corresponding limited-edition physical book. In live performance, video interludes connect projections of the paintings in a single trajectory. As each painting is projected, the corresponding compositions are performed from different parts of the stage, taking on the form of a six-voice conversation conveyed through the medium of the solo violin. 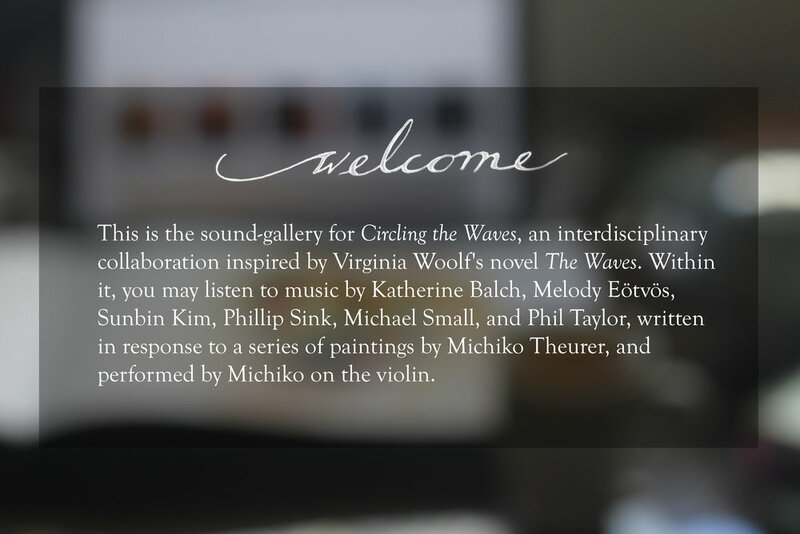 The online gallery includes Michi's recordings of each of the composers' works, organized by painting as well as by composer, to enable the listener to navigate through the music in a nonlinear way. The book serves as a physical anchor for these online recordings, and includes prints of each of the paintings as well as written material discussing the project, creative process, and musical compositions. All paintings, drawings, and recordings copyright 2017 Michiko Theurer. Title text by Michael Small. Web design by Michiko Theurer and Michael Small.